Save Up to $30 off A Philips Sonciare Toothbrush for June ! 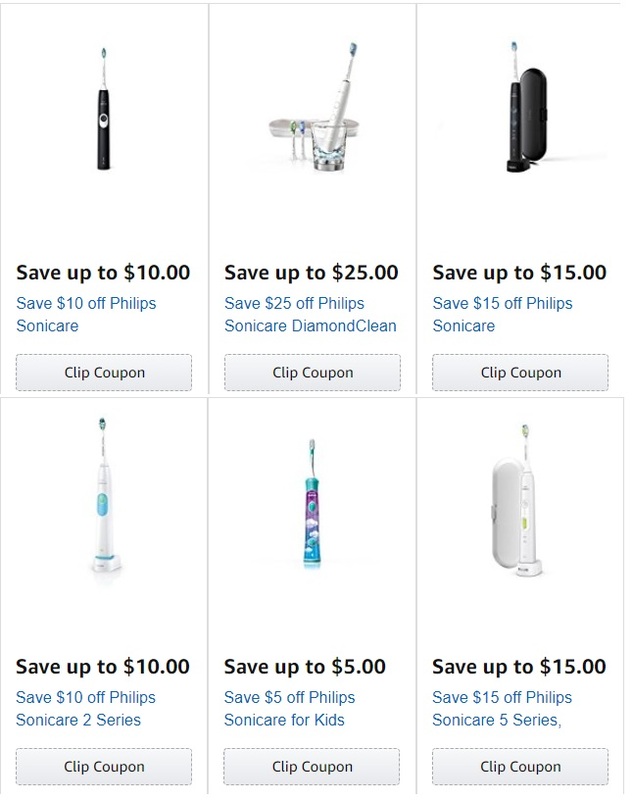 Okay there are several ways to save on an electric toothbrush for June 2018, I’ve spent almost an hour today looking around the internet for these deals so hopefully you’ll be able to use some of them to save some money this week. Keep in mind the amazon link is an affiliate link by purchasing via Amazon you support this website and allow me to keep finding deals for you guys every month ! So if you choose to purchase off Amazon and use their coupon Thanks ! Next up Using the Bargain Bin Betty Coupon Database @ bargainbinbetty.com/bargain-bin-bettys-coupon-database/ I found three more coupons located in the Smart Source flyer dated June 6th 2018. This flyer can be found in your local Sunday newspaper. See table below for my search results. I checked at Costco this month seems like they only have two coupons for Oral b electric toothbrushes no deals on Sonicare this month. If you’ve got a Costco card hold off till next month as usually they flip flop between Oral b and Philips Sonicare coupons month to month. I also checked Publix and Kroger no coupons on these two sites. Last up I checked the company website and found several more coupons for $20 off various electric toothbrushes. This is worth a look too. If you’ve found an offer or rebate I’ve missed please share it in the comments or on our Facebook page ! This entry was posted in Philips Sonicare Coupons and tagged 2018, Amazon, coupon, June, Sonicare. ← Big Savings On The Philips Sonicare For May !